I don’t often (if ever) use black and white in my photos, but this time I figured I would give it a shot and see what happened. 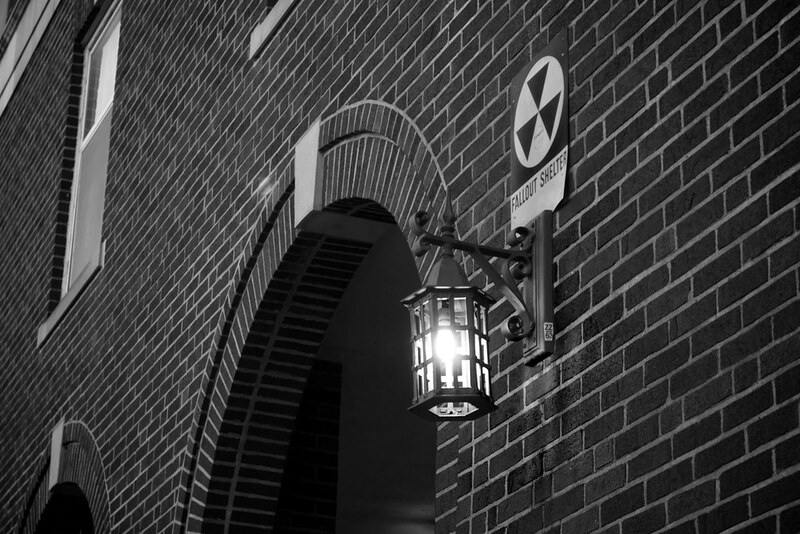 I found that in this particular shot, turning everything black and white served to emphasize the Fallout Shelter sign and draw the viewer’s eye to what I wanted them to see, not to the rest of the photo. I don’t know if this will start some sort of creative black and white period in my photography, but it might be fun to experiment with a bit more in the future. I also think this might be the kind of photo I would show to my kids, who will hopefully never have to live through the fear of nuclear war.